Besides the ninots displayed on the street, you can also enjoy the wonderful fireworks during the festival. Read firework facts in detail. 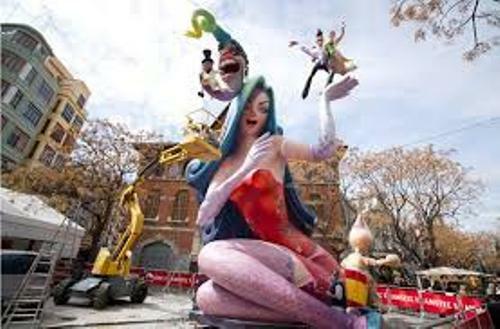 Las Fallas Facts 2: what is Las Fallas Festival? 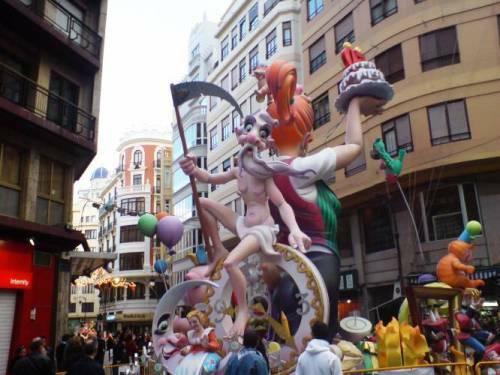 If you are not familiar with Las Fallas festival, let me give a brief explanation about it. This festival is held from 1 to 1h March in the city of Valencia. The big day of the festival is on 19th March because it is used to mark the Day of Saint Joseph. The ninots is very important during the Las Fallas festival. Even though it is only held on 1 to 19 March, people have to prepare the ninots for the entire year. The main purpose of ninots is for the satirical value. The exhibition of the ninots is held on 16th March. You will be amazed with the shape of the ninots. 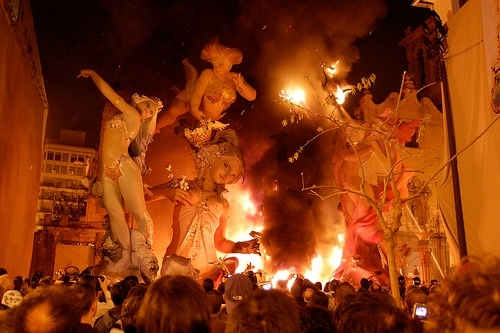 During the La Creme held at the night of 19th March, all of the figures will be burned. There are two kinds of Fallas during the festival. You can see infantile or falla for children and mayor or falla for adults. 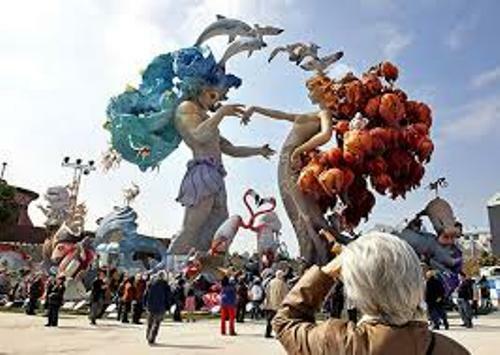 Each neighborhood has two kinds of fallas for children and adult. The most impressive fallas will be picked by the jury. On the night of the festival, there is only one ninot which does not need to be burned. The jury will decide the best ninots. The Fallas mayors or falla for adult will be burned at the midnight. The Fallas for kids will be burned at 10 pm. There are three firework moments that the visitors can enjoy during Las Fallas festival every day. Those moments are called la desperta, la mascleta and el Castillo. Your vacation in Spain will be great if you want to try the Las Fallas food. It is the typical food that people eat during the festival. You can try buñuelos, Bocata de blanc i negre, and churrerías. The Museo Fallero is Las Fallas museum. You can visit the museum if you want to know the ninots which are not burned in the previous festival. The people who want to know the culture of the People living in Valencia need to see the festival. 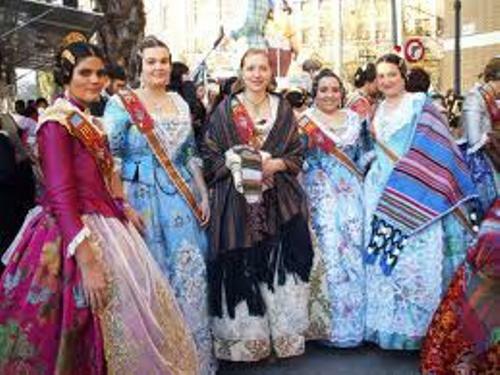 Do you want to give opinion on facts about Las Fallas?